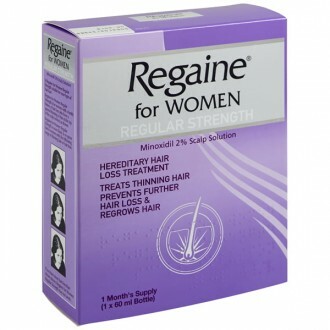 Regaine For Women 1 Month Supply: Women that experience hair loss feel extremely distressed but thanks to this special form of Regaine that is specifically designed for ladies, it is now possible to treat thinning hair and advancing baldness; this is often caused by hereditary hair loss. Hereditary hair loss affects both men and women and for females, hair loss is particularly distressing because it affects the way women look and consequently the way they feel about themselves. It is amazing to think that five million women in the UK suffer from hair loss and thinning, medically termed androgenic alopecia, when baldness is usually associated with men. Hereditary hair loss often starts gradually and will progress the longer it is left untreated and usually other family members tend to have a history of hair loss. Some women manage the situation through concealment by using hair extensions, magnetic fibres that stick to the scalp and resemble real hair but now it is possible to really ‘grow’ back your own hair. Regaine for Women Regular Strength is a hair loss treatment specifically for women and is proven to help reverse hereditary hair loss in women between the ages of eighteen and sixty-five. Regaine for Women contains 2% Minoxidil which is the only ingredient proven to work in cases of hair loss. 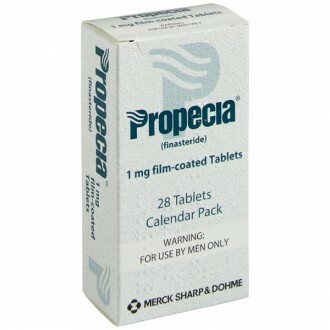 Minoxidil was first used in tablet form as a medicine to treat high blood pressure (hypertension). It was noted that patients being treated with Minoxidil experienced excessive hair growth (hypertrichosis) as a side effect of the medication. Further research showed that hair growth could also be stimulated by applying a solution of Minoxidil directly to the scalp. Minoxidil dilates the tiny blood vessels in the scalp thereby increasing the blood supply to the hair follicles and it is thought that this stimulates the hair growth. Clinical trials demonstrate that Regaine for Women solution has helped stop further hair loss in four out of five cases and can regrow some hair in three out of five women within thirty-two weeks. Regaine is easy to use and should be used twice daily for a period of four months for best results. It can quickly become part of your morning and evening beauty routine. Two to six weeks after starting treatment, you may notice after using Regaine for 2-6 weeks that you lose more hair than you started. This is normal. you have started treatment that you are losing more hair than before you started treatment. This is completely normal and is a positive sign that the treatment is actually working. It is caused by your hair follicles changing from a dormant phase to an active growing phase; as new hair growth begins, your old hair is released and falls out. Continue to use Regaine for Women Solution twice a day as directed and your thinning hair should stablise. Some women see results in as little as sixteen weeks but for other women, it can take longer as everyone is different. If you hair starts to re-grow, it will probably be soft, downy and barely visible. After continued treatment, this new hair should become the same colour and thickness as the rest of your hair. If you do not continue to use Regaine after the initial period of treatment, the hair that has re-grown may disappear after a few months causing further balding or hair loss. Most women first notice hair loss around the centre parting and this may best be demonstrated with the following pictures; if your hair loss resembles the images shown below, then Regaine for Women may be a suitable product for you. Hereditary influences are without doubt the most common cause of hair loss in women. Hereditary hair loss or female pattern hair loss is described clinically as Androgenetic Alopecia or AGA. This is an inherited condition which results in a reduction in the time that your hair spends actively growing. AGA causes the hair follicles to become smaller and slowly, over time, thinner lighter hair replaces your usual hair. The most prominent area that the hair is lost from is on the top of the head and along the centre parting. Stress or a traumatic event can also cause temporary hair loss called Telogen Effluvium. The effects of stress can be to push a significant number of your hair follicles into a resting phase. In the case of sudden shock, hair loss may become noticeable one or two months later after the event. Stress-related hair loss does not have to be permanent. Your hair may grow back when you control your stress. During pregnancy, the changes in hormone level can cause hair loss in some women. A fall in oestrogen levels may cause more hair follicles to go into the resting phase; this is known as post-partum alopecia. This type of hair loss is usually short lived. Some women experience an unusual amount of hair loss after preganacuy but this returns to normal after about six to twelve months. Crash dieting can be another trigger for hair loss in women as it causes follicles to go into a resting phase. However lack of appropriate nutrition such as iron or protein in the diet can also cause hair loss in women. When dietary deficiencies are corrected, hair may grow back again over the course of several months. This describes another type of non-hereditary hair loss which is caused by an autoimmune malfunction resulting in totally smooth round hairless patches on the scalp. This can occur quickly and can lead to total hair loss. You should consult your doctor if you begin to experience this type of hair loss and there is no history of hair loss within the family. Braids, ponytails, cornrows and extensions can all pull on your hair, resulting in hair loss that can lead to a condition known as Traction Alopecia. Try and opt for hairstyles that put less tension on your hair in order to avoid permanent weakening of and damage to the hair. Some women experience hair loss resulting from changes in their hormone levels. The thyroid gland regulates hormone levels and therefore some women with thyroid disorders can sometimes experience hair loss. Effective treatment for thyroid disorders should result in regrowth of the hair in the majority of cases. The scalp and hair should be dry before applying the solution. Line up the arrow on the can ring with the arrow on the cap and remove the cap. Hold the can upside down keeping it vertical and press the nozzle to dispense half a capful of the foam onto a non-absorbent surface. The total amount of foam dispensed should not exceed half a capful. The foam may begin to melt on contact if your hands are warm so rinse your fingers in cold water first before dispensing. Make sure your hands are totally dry before handling the foam. In the areas of hair loss/thinning, make a centre parting to help maximise scalp exposure. Using your fingertips, apply the foam to cover areas of hair loss and gently massage it in to the scalp, starting at the back of the scalp and moving towards the front (forehead). Part your hair at least two more times on each side of the centre parting. Use until all the foam is gone. Wash your hands thoroughly afterwards with soap and water. Replace the cap on the container and snap back into place. Be sure the arrows are misaligned so that the cap remains childproof. These are quite common and may affect more than one in ten people. Itching or a general dermatitis which may also affect more than one in ten people. If Minoxidil passes into the bloodstream, it can cause some side effects related to low blood pressure such as chest pains, rapid heartbeat, faintness, dizziness, swollen hands and feet, persistent redness or irritation of the scalp. If you experience any of these side effects, you should stop using Regaine immediately and inform your doctor. 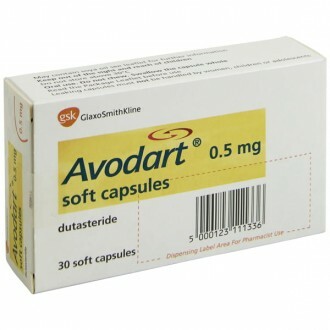 These side effects are uncommon but possible if you are using the treatment with a scalp condition present such as psoriasis or if you are using the treatment in greater quantities than recommended. Regaine for Women contains ethanol (alcohol) which will cause burning and irritation if it comes into contact with your eyes. If you get any Regaine Solution or foam in your eyes, in your mouth or on a cut or damaged area of skin, wash the area well with plenty of cool tap water. Accidental ingestion may cause serious cardiac events. If you are concerned about these or any other side effects then you should stop using the product immediately and take advice from your doctor or pharmacist. Regaine for Women Foam and Solution is for external use only. Do not apply to areas other than the scalp. Wash your hands thoroughly after applying Regaine in order to prevent transference to other areas of the body. Do not use Regaine on broken or inflamed skin. Avoid contact of the product with the eyes and the moist membranes lining the inside of the body e.g. the mouth and nasal passages. Rinse thoroughly with cold water if accidental contact occurs. Stop using this medicine immediately if you experience chest pain, an increased heart rate, faintness, dizziness, sudden unexplained weight gain, swollen hands or feet or a persistent redness or irritation of the scalp. Your hair loss may increase when you first start using Regaine; this is due to the old hairs falling out and the hair follicles becoming active in response to the product and is quite normal. If the shedding persists for longer than two weeks, discontinue the treatment and consult your healthcare professional. Regaine for Women is not suitable for women who suffer from high blood pressure (hypertension) whether this is being treated with vasodilators or not, or for those who suffer from heart disease, including abnormal heart rhythms or heart rates, angina or chest pains and circulation disorders. Regaine is not a suitable product for women who have a shaved scalp or who have a scalp abnormality or condition such as psoriasis, eczema or sunburn and who are using medications to treat these conditions such as Dithranol (psoriasis), Tretinoin which is used to treat acne amongst other skin disorders or Petrolatum which is a common ingredient in hair wax and hair gel. Do not use Regaine if you have any kind of bandage or occlusive dressing on your scalp. You should not use Regaine if you are pregnant or breastfeeding. You should not use Regaine if your hair loss is caused by drug treatment e.g. for cancer or if you have total baldness or complete loss of body hair of if the cause of your hair loss is unknown or sudden and unexpected. Regaine is only recommended for use by women within the ages of eighteen and sixty-five; those outside this age range should not use the product as there is no clinical evidence available regarding its safety. Increasing the recommended dosage of Regaine will not cause your hair to regrow more quickly and may result in side effects. You should not use Regaine if you are allergic to any of its ingredients; Proplylene Glycol may cause skin irritation. If you experience an allergic reaction when using the product, then you stop using it immediately and consult your GP. Certain medicines that are applied to the skin can increase the absorption of the skin.. Examples include corticosteroids such as hydrocortisone, retinoids such isotretinoin or treinoin, dithranol, urea and vaseline. You should not use Regaine in conjunction with any of these medicines as they may cause more Minoxidil to be absorbed into your bloodstream via the skin on your scalp. This could increase the risk of any side effects. Regaine for Women contains alcohol which is flammable so store the product away from heat, sparks, naked flames and hot surfaces, in a cool and well-ventilated place. Dispose of empty containers with care. You should not smoke near the product or when you are using it. If you are unclear about whether your scalp is normal and healthy then consult your healthcare professional before commencing treatment with Regaine for Women. Equally if you are uncertain whether your hair loss is hereditary then Regaine may not be a suitable product for you. Discuss this with your doctor. Please read all of the packaging and the Product Information Leaflet before taking any new medicine and always inform your doctor of any medicines you are taking or intend to take. There are several different lifestyle related issues that may contribute to hair loss in women such as stress or dietary deficiencies but by far the most common cause is hereditary influences described clinically as Androgenetic Alopecia or AGA. Regaine for Women works by stimulating the blood supply and nutrients to the hair follicles on the scalp through its active ingredient Minoxidil. This helps to strengthen the existing hairs and encourages them to grow and over time, this process can produce thicker and more visible hair. Regaine for Women is clinically proven to regrow hair in more than 80% of women. How often do I need to use Regaine for Women? Regaine for Women should be used twice daily and applied to affected areas of the scalp. It will quickly become part of your morning and evening beauty routine. If you use Regaine for Women Foam then this only needs to be applied once a day. How will I know if Regaine is working? You may notice a temporary increase in hair shedding between week two and week six of use that lasts for a couple of weeks. This is usually temporary and a good sign that the hair follicles have been reactivated and a new growth cycle is beginning. If shedding persists for longer than two weeks, you should discontinue use of the product and consult your healthcare professional. How long will it take before I notice any hair regrowth? It may take twice daily applications of the solution and daily applications of the foam for at least four months for any noticeable hair regrowth; normal hair usually grows at the rate of half an inch per month so hair regrowth with Regaine will also take some time. Some women see results as early as twelve weeks although others may need to wait for about twenty-four weeks before they see any regrowth. Regaine for Women will not work for everyone and in some cases, hair regrowth will not occur. If there is no improvement after a year, you should stop using the treatment. What can I expect my newly grown hair to look like and feel like? The new hair growth may be soft and downy at the start but should eventually develop and strengthen and become the same as your normal hair. What happens if I miss a dose of Regaine for Women? If you miss one or two applications of Regaine for Women, don’t worry just carry on as normal, do not increase the frequency of applications to make up the missed treatments or double the quantity when you next treat your scalp. Do I need to keep using Regaine after the initial course of treatment? If you do not continue to use Regaine, the hair that has re-grown may disappear after three to four months causing further balding or hair loss. If your hair growth is stimulated, you should keep using Regaine twice a day for the growth to continue. Why do I seem to be losing more hair now that I have started treatment with Regaine for Women? Two to six weeks after treatment, you may lose more hair than before you started the treatment. This is completely normal and is a positive sign that the treatment is working. It is caused by your hair follicles changing from a dormant to an active growing phase; as new hair growth begins, your old hair is released and falls out. How can I identify if I am vulnerable to hair loss? There are several ways that you can assess whether you will be likely to experience hair loss. Male or female members of your immediate or extended family could have suffered from hair loss in the past, or you may have noticed a gradual loss of hair on the top of your scalp, most evident around the parting and sometimes more extensive near the front of the scalp on the hairline. It can form a pattern similar to the shape of an evergreen tree. How do I know if Regaine for Women is right for me? Regaine for Women may be an appropriate treatment for you if you have a family history of gradual hair loss and/or if you notice you are beginning to lose hair from the top of your scalp or around the hairline at the front of your scalp. If there is no family history of gradual hair loss or, your hair loss is patchy, then you should consult your healthcare practitioner. Are there any medical conditions which would mean that Regaine for Women is not an appropriate product for me? Regaine for Women is not a suitable product for those women who suffer from high blood pressure whether treated or not, or for those women who have skin conditions on their scalp such as psoriasis, eczma, broken skin or sunburn. You should not use Regaine for Women if you are pregnant or breastfeeding. Women who have a shaved scalp or who are using other medicines or occlusive dressings which are applied to the scalp should not use this product. Regaine for Women is only recommended for women who are aged between eighteen and sixty-five so if you fall outside this age range, then you should not use Regaine to treat hair loss, consult your GP for further advice. If you think you may be allergic to any of the ingredients found within Regaine then you should not use it, equally if you appear to suffer an allergic reaction when using the product then you should discontinue treatment and consult your doctor. What happens if Minoxidil is absorbed through the scalp into my bloodstream? The amount of Minoxidil absorbed through the skin into the bloodstream is usually too small to cause internal side effects. However there are certain medicines such as corticosteroids which may increase the permeability of the skin and Regaine for Women is not a suitable treatment in conjunction with these medicines as they could cause more Minoxidil to be absorbed through the skin and into your bloodsteam. What forms does Regaine for Women come in? Regaine for Women is available in a solution or as a foam. How does Regaine for Women Foam differ from cosmetic thickening products? Thickening products just temporarily coat the existing hair whereas Regaine for Women Foam reactivates inactive hair follicles to stimulate hair regrowth from the roots. Can I use Regaine for Women Foam on colour-treated hair? Regaine for Women Foam can be used on colour-treated hair. However you should always make your hairdresser aware that you are using this product on your hair. Does Regaine for Women foam contain hormones? Regaine for Women foam does not contain any hormones. The active ingredient in Regaine for Women is Minoxidil and this is not a hormone. I have heard that Regaine for Women foam actually makes your hair fall out first before it regrows, is this true? During the first two to six weeks of using Regaine, you may notice a temporary increase in hair loss; this is normal and occurs because the Minoxidil in regaine causes the hair follicle to shift from the resting to the growth phase of the hair cycle. As part of this process, it is not uncommon to see a temporary increase in shedding. This temporary shedding is a good sign and occurs because a new growth cycle is beginning and the old hair is making way for newer actively growing hairs. This shedding should desist over time but if increased shedding persists for more than a couple of weeks, then stop using the product and consult your GP in order to rule out other causes of hair loss or other medical problems. How is Regaine for Women Foam different to Regaine for Men Foam? 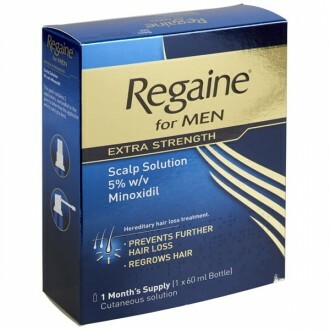 Regaine for Women 5% Minoxidil foam is specifically formulated following clinical trials to assess the product’s safety and effectiveness for women who are experiencing female pattern hair loss. Can I apply Regaine for Women after a shower? There is no need to shampoo your hair before using Regaine for Women. If you do wish to shampoo your hair first then dry your hair so that the skin on your scalp is dry before applying the foam. Why does the leaflet state that Regaine for Women foam should be dispensed onto a non-absorbent surface and not directly on to the hair before being applied? Regaine for Women Foam melts with body heat. By dispensing the product onto a non-absorbent surface, you will be able to take the time you need to apply the product properly to the scalp without it dispersing too quickly.